A few weeks ago, we reported that Soylent was withdrawing its snack bars because they were making people sick. Now the venture-backed start-up is withdrawing its food powder because -- you guessed it -- customers say it's making them sick. The company says it doesn't know just what the problem is but suspects -- logically enough -- that there is a common ingredient in both products that's to blame. Soylent premade drinks have, so far, not caused any problems, the company says. Soylent, based in Los Angeles, is trying to change how people eat. Forget the all-natural organic stuff, it's going straight for food powder. Just add water and the resulting goop will contain all the "protein, carbohydrates, lipids, and micronutrients that a body needs," according to the company's website. Or so company founder Rob Reinhardt believes. The twenty-something engineering graduate doesn't have a background in nutrition or biology but he became annoyed at how much trouble it was to prepare food while crashing on projects, so decided to invent his own. 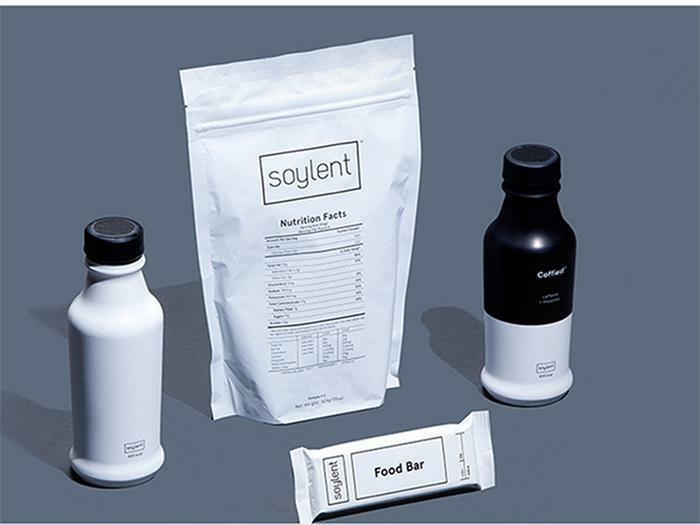 Soylent, spelled the same as the human-based food featured in the 70s science-fiction film "Soylent Green," is said to be quite popular with Silicon Valley programmers who have trouble turning aside from their coding long enough to wolf down a sandwich. Soylent is a little vague about the exact ingredients, saying merely that its products "use bioengineered algae as a source of lipids and essential omega fatty acids. "Produced efficiently in bioreactors, rather than on farmland, these single-celled organisms require far less resources than traditional agriculture," we're told. "Bioreactor" sounds pretty cutting-edge but is basically a fancy term for a vessel in which a chemical process is carried out -- a beaker, for example. Soylent swears it is hot on the trail of whatever is causing the problem and says when it figures it out, it will so advise the Food and Drug Administration, which has so far remained silent on the Soylent issue. Upon completing this somewhat snarky article, by the way, the author realized that, while writing it, he had himself nibbled through a Cliff Bar rather than delay publication by taking time for lunch. So far, no ill results.